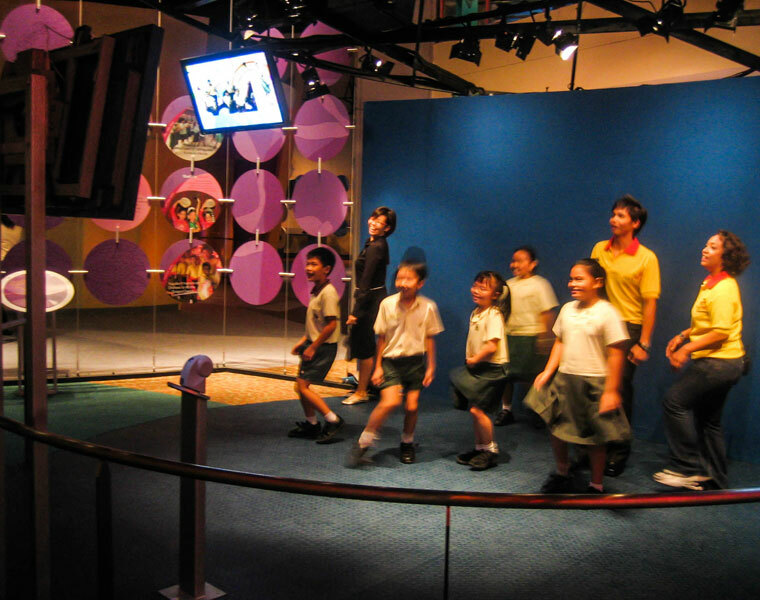 SDC is Singapore’s National Education centre. 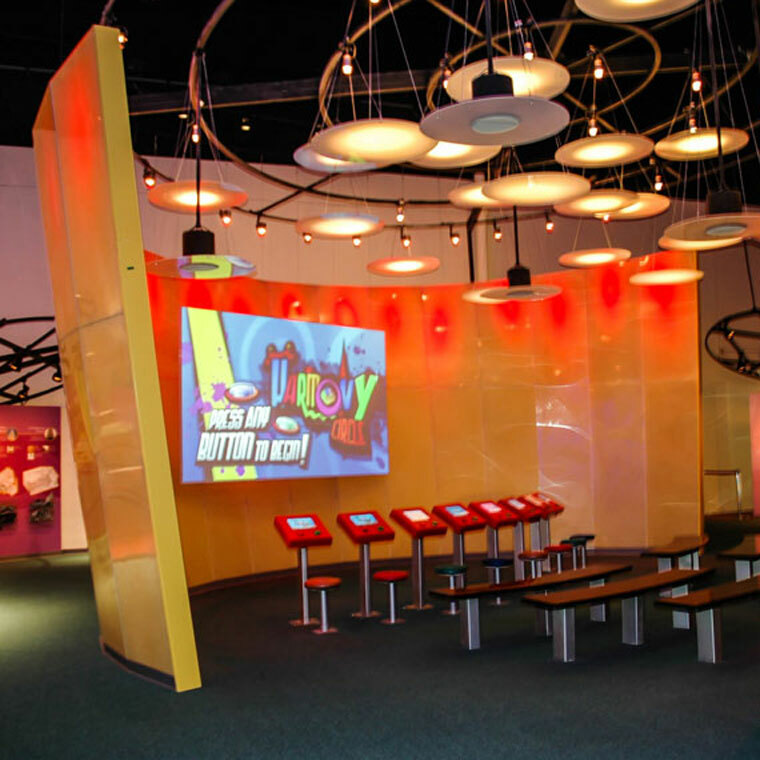 We used a multitude of interactive content to engage visitors and subtly convey NE’s messages. Multimedia People has set a high-standard in making interactive content engaging, yet capable of delivering subtle nuances via messages conveyed. This is a blue-screen interactive whereby the visitor acts as an on-location reporter and reads from a teleprompter. 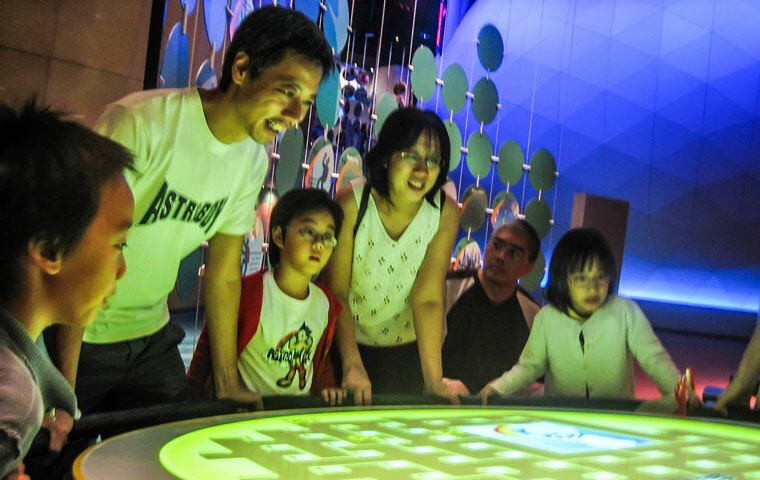 This is another blue-screen interactive that gets visitors on their feet. 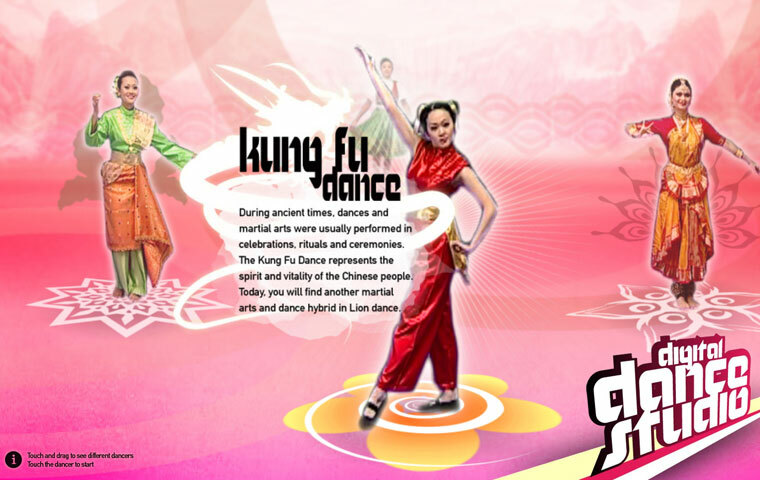 A virtual dance instructor guides the visitors through 4 traditional dances. 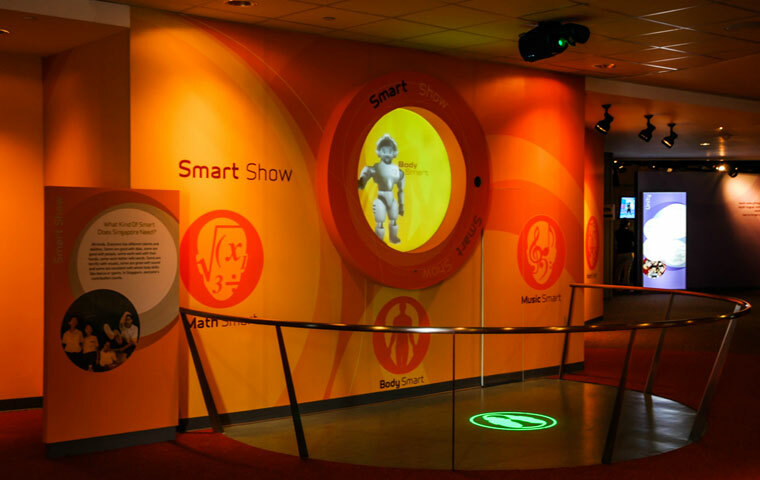 Interactives like “Life’s labyrinth” and “Smart Station” engages visitors young and old. “Life’s labyrinth” is a tilt-table labyrinth game with different maze designs. Visitors navigate through the maze to avoid the pitfalls in life, by tilting and activating a flight accelerometer. 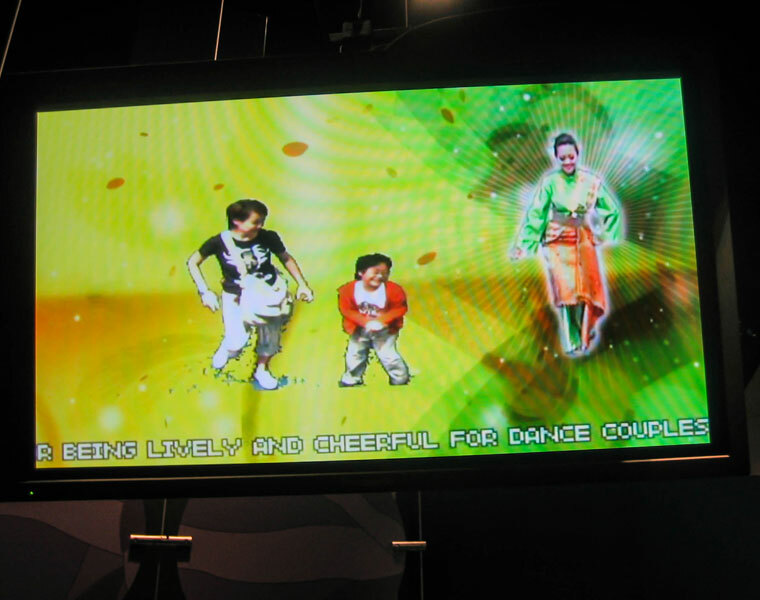 “Smart Station” is a 3D, real-time interactive robot that converse with the visitors through play station style control precise lip-sync, through a proprietary software developed in the US. 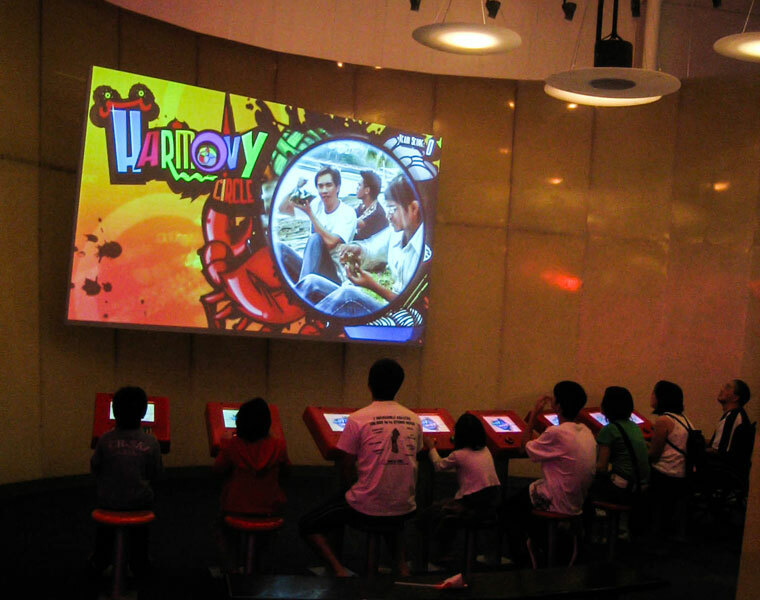 The virtual host plays games interactively with the visitors through pre-designed quizzes and videos. 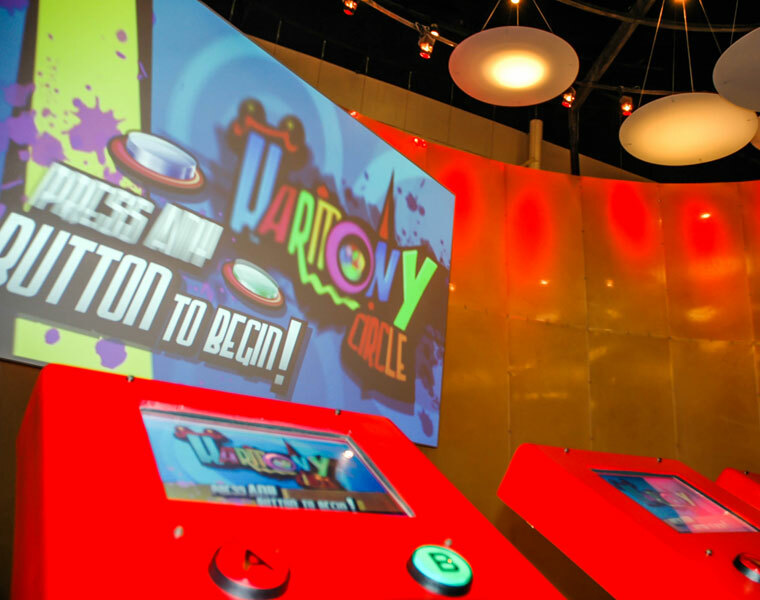 Styled like wacky TV game shows, and hosted by 2 of the funniest theatre actors, multi-player games: “Enterprise Quest” and “Harmony Circle” are 2 of the most popular exhibits at SDC. It is not difficult to see why. Copyright � 2013 Multimedia People Pte Ltd. All Rights Reserved.